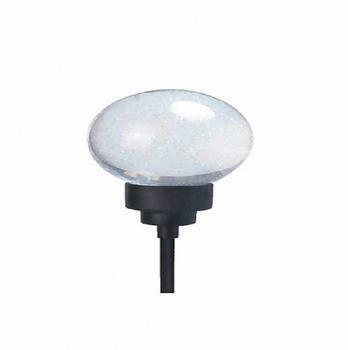 Southwire Company of Carrollton, Ga., and Southwire Canada Company of Mississauga, Ontario, Canada, are recalling about 18,700 Moonrays mystic globe and snow globe stake lights sold in the U.S. and Canada. Light refraction through the lights can singe or melt items in contact with or in the immediate proximity, posing a fire hazard. This recall involves Moonrays brand large mystic globe and winter-themed snow globe stake lights. The lawn and garden decorations are plastic globes mounted on a metal stake that can be inserted into the ground. Water and antifreeze allows glitter inside the globe to float. The winter-themed light stake is framed by a snowman, Christmas Tree, Santa Claus or reindeer. The solar powered lights also contain LED bulbs that run on AA NI-cd or AA-NI-Mh rechargeable batteries. The stake lights, manufactured in China, were sold at Moonrays and home improvement and hardware stores nationwide and online from August 2016, through March 2017, for about $20. Consumers may contact Southwire toll-free at 888-847-8709 Monday through Friday from 9 a.m. to 5 p.m. (ET), or online at www.southwire.com, www.southwire.ca or www.moonrays.com for more information.